What do you see when you look at Carol Burnett? How about Rosie O’Donnell or Margaret Cho? 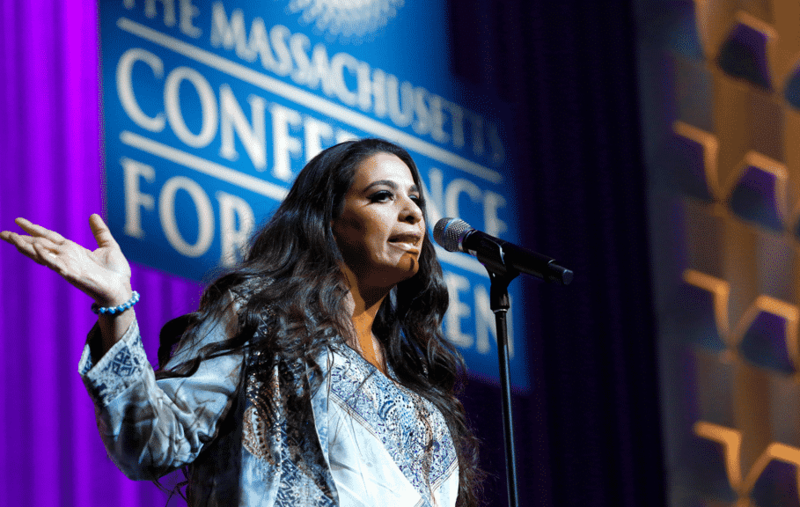 As for Maysoon Zayid, an actress who’s butted up against thousands of closed doors, she saw beauty. The beauty of opportunity. Zayid galloped after her acting dream once she earned her degree in theater from Arizona State University … but it was a rocky start. Born and raised in Cliffside, New Jersey, Zayid is of Palestinian descent. She’s done plenty of comedic work, including starring in Stand Up: Muslim-American Comics Come of Age. She’s also appeared in films, most prominently in Adam Sandler’s You Don’t Mess with the Zohan. As an advocate for equal rights for people with disabilities, she’s a shot in the arm to others who continue to face closed doors. ABC agreed to pick up Can Can last year—Zayid is still waiting for the word on when it will air. You might learn a lot by watching Can Can, or you might learn nothing at all but simply laugh out loud. Either way, Zayid will be pleased. “I’m here to make people laugh, not to preach. If they learn to be better people in the process, that’s great, too,” the 45-year-old comedian said. Zayid started her acting career spending two years on the popular soap opera As the World Turns, and she has also made guest appearances on Law & Order, NBC Nightly News and ABC’s 20/20. During her early acting experiences, she found both her disability and her ethnicity repeatedly limiting her advancement. Zayid then turned to stand-up and began appearing at New York’s top clubs, including Carolines on Broadway, Gotham Comedy Club, and Stand Up NY, where she tackled some serious topics, such as terrorism and the Israeli-Palestinian conflict. She co-founded the New York Arab-American Comedy Festival in 2003 with comedian Dean Obeidallah. Held annually in New York City, the festival showcases Arab-American comics, actors, playwrights and filmmakers. In late 2006, Zayid debuted her one-woman show, Little American Whore, at Los Angeles’ Comedy Central Stage; it was produced and directed by Kathy Najimy. In 2008, the show’s screenplay was chosen for the Sundance Screenwriters Lab. Production began with Maysoon as the lead in the fall of 2009. Zayid usually tours by herself or as a special guest on the Axis of Evil Comedy Tour. She also co-hosts the radio show Fann Majnoon (Arabic for “crazy art”) with Obeidallah. Zayid can be seen in the 2013 documentary, The Muslims Are Coming!, which follows a group of Muslim-American stand-up comedians touring the United States in an effort to counter Islamophobia. The documentary also features various celebrities such as Jon Stewart, David Cross, Janeane Garofalo and Rachel Maddow. Cerebral palsy is extremely difficult, even torturous, so how does one make it funny? Here’s Zayid in one of her stand-up routines, talking about getting passed over for the part of—can you guess?—a person with cerebral palsy. Welcome to Zayid’s world, where one’s misfortune can be funny. It’s okay. Audiences probably feel for her—“It’s exhausting,” she says of the constant shaking. But soon enough, they’re laughing from the gut up as they become more familiar—and following Maysoon’s lead, more comfortable—with her condition. That’s key. Her shows have a family feel. Out of decency, respect and, yes, fear, folks do not laugh about a disability until they’re given permission to by an insider. So, if you haven’t already, put Can Can on your radar as a must-see show. It’s possible you might learn a little something, but one thing is sure—you’ll definitely laugh. “Wait, what? There is no wheelchair spot on the plane for you?” Unfortunately, most people outside the wheelchair community don’t realize this is an issue until we make them aware of it. When we stop and think about it, we might reflect on how far we’ve come so that we can put the next “steps” to accessibility in perspective. Although not quite as old as humanity itself, wheelchairs appear to date as far back as the fourth century B.C.E., entering Europe possibly around the twelfth century. The idea of an electric wheelchair first arose in 1916 but was unsuccessful until 1952 and not ready for mass markets until 1956. The first wheelchair-accessible bus was invented in 1947 for veterans returning from WWII in Canada. In the 1970s, a team of students at Queen’s University in Ontario, invented the first wheelchair securement system. The earliest research into wheelchair securement introduced the concept that wheelchair users with reduced mobility have unique safety needs requiring unique safety solutions—hence the brand name Q’straint for wheelchair securement systems, or what we colloquially call tie-downs. In 1966, Ralph Braun created the first wheelchair lift and personal wheelchair-accessible vehicle. In 1972, the Braun Corporation began to sell these accessible vans. With the passage of time, wheelchairs, wheelchair securement systems, and accessible travel have been modified to 21st century standards. They’ve been made faster, safer, and easier. The wheelchair community has embraced travel as part of everyday life in some shape or form for the last 40 years. Thanks to the Americans with Disabilities Act (ADA), Americans in wheelchairs can use Amtrak, taxis, subways, ferries, and local buses to get out and about every day to travel, work, attend school, explore, shop, and meet friends. In other words, they can participate in life! However, truly accessible air travel—that is, a designated in-cabin space for a wheelchair securement system—has not yet happened. Air travel is covered, not by the ADA but instead by the Air Carrier Access Act, which doesn’t require an in-cabin wheelchair spot—yet. Why not? Is it because we haven’t had a powerful protagonist push for this change? No. In 1942, the very first wheelchair accessible airplane was designed and modified for President Franklin Delano Roosevelt (FDR). The plane, adapted for both the president’s political safety and personal dignity, was built with an elevator, with aisles wide enough to navigate in his wheelchair. Sadly, 1942 would be the last time a wheelchair user would be considered in the design of a plane. Why were wheelchair users not taken into consideration during the 1960s, the golden age of commercial aviation? Rather than call out the industry for excluding the wheelchair community, let’s try instead to understand what is preventing wheelchair spots from being implemented. Today’s aviation engineers are empathetic to wheelchair users’ needs, and if given the opportunity to build an accessible airplane, these engineers would make it possible. However, the reason no one organization has taken on researching a wheelchair spot is the difficult nature of the solution: it can’t be created without involving many different groups and industries, and the cost of research is enormous. The good news? All Wheels Up (AWU), established in 2011, has already brought the parties together to start the conversation. All Wheels Up is the first organization to take the steps to inquire about an in-cabin wheelchair spot. 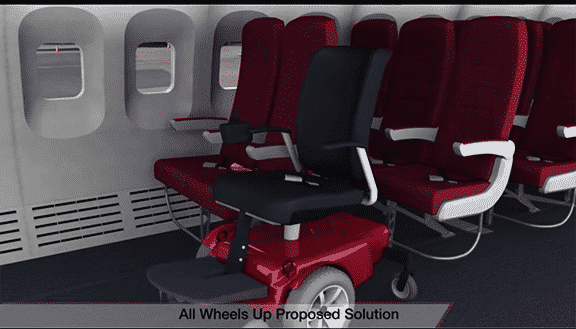 Our goal is not just advocate for a wheelchair spot, but to fund and conduct the research needed to prove the feasibility of wheelchair securement systems and wheelchairs for commercial flight. While there are many amazing advocacy groups that have taken on accessible air travel as a platform, no other organization is funding the research to make it happen. In 2011, Q’straint tie-downs surpassed 20 G of force. (The FAA testing standard of airplanes seats is 16 G.) In 2016, AWU funded the construction of the first HYGE sled (a simulation platform for crash testing) that could hold a wheelchair, to study how wheelchairs might perform during important aeronautical situations such as turbulence, takeoff, and landing. Recently in one of these facilities, AWU conducted eight specific tests requested by the FAA—and the wheelchair securements all passed. The next step is creating a prototype for commercial use, for which more research and development is needed. AWU will be benchmarking wheelchairs—for future R&D of a FAA-approved wheelchair on January 28, 2019. The results will also be published in their feasibility study. So, while a wheelchair spot on commercial planes is some 40 years behind the times, things are moving in the right direction. Keep in mind that back in 1947 when wheelchairs were first placed in buses—and even in 1970 when Ralph Braun created accessible vans—standards and regulations were not yet part of our daily lives. Wheelchair travelers can rest assured that once wheelchair securements are approved for airline travel, they will be safe and secure because of scientific testing. Safety is one issue; economics is another. After all, airlines are a businesses. However, with about 4 million wheelchair users in the United States, the market is large and demanding. Airlines, airplane manufacturers, and governments are listening and they are listening to the consistent collaborative message from All Wheels Up. All Wheels Up is the only organization to conduct a working group with all Stake holders including Airlines, plane manufactures, and wheelchiar manufactures from all over the world.The United States is the only country to currently address a wheelchair spot in a signed bill of law. On October 5th, 2018, The FAA Re-Authorization Act, was signed by President Trump, which included the “feasibility study of wheelchairs for in-cabin use”. Our cause still needs your help, contact your representatives in Congress and the United States Access Board (access-board.gov), which was assigned the task of choosing the team that will continue the research for a wheelchair spot and tell them you support All Wheels Up and their work. As the only organization that has dedicated the last nine years to a wheelchair spot on planes, All Wheels Up remains the leader in the field. All Wheels Up is proud to be working toward true accessible air travel—on a global scale with all the parties involved. Follow us on Facebook, Instagram, and Twitter to stay informed about our progress. 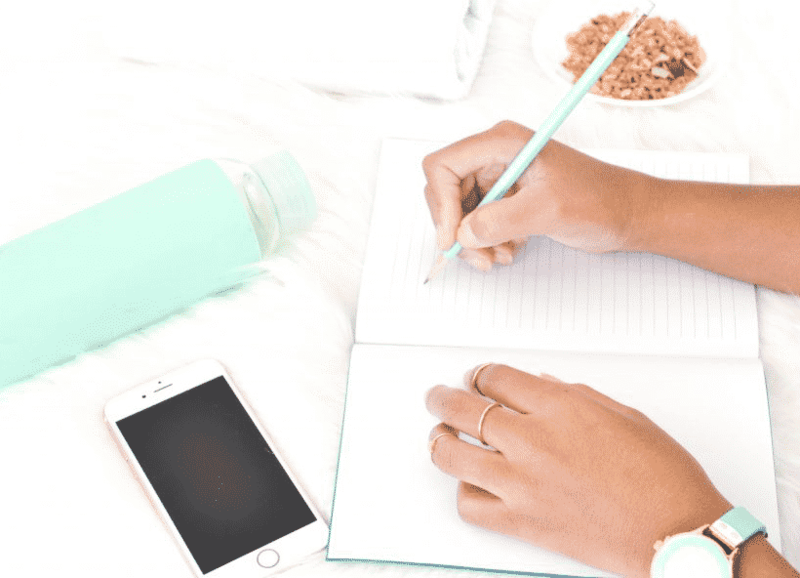 Headed to Disability:IN 2019? Discover The Magnificent Mile! While you’re in town for the 2019 Disability:IN 22nd Annual National Conference & Expo July 15–18, 2019, check out some of the fine food that Chicago is so well known for. We’ve assembled a list of several accessible restaurants, as well as shopping, other necessities, and the transportation to get you there. 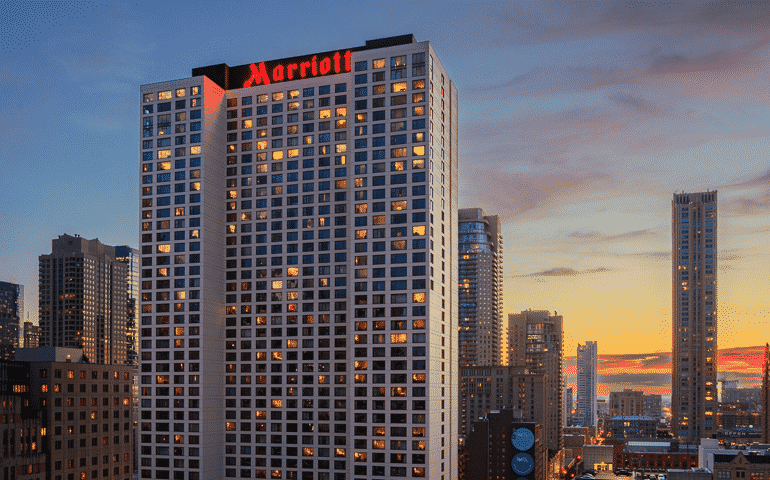 All these businesses are within easy reach of the Disability:IN host hotel, the Chicago Marriott Downtown Magnificent Mile, located on downtown Michigan Avenue. This popular area of Michigan Avenue offers much to see and do, with fine hotels, restaurants, shopping, art, music, architecture, museums and parks. 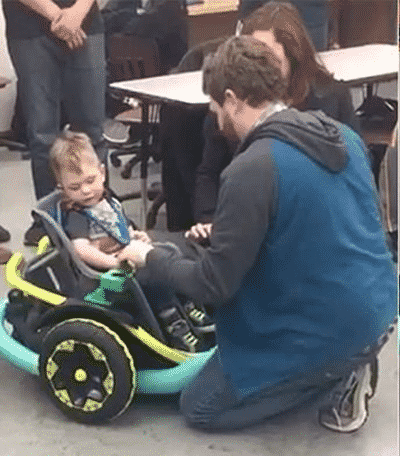 A group of Minnesota high schoolers built an electric wheelchair for a 2-year-old boy whose family couldn’t afford one. When parents Krissy and Tyler Jackson found out their insurance would not help cover the steep price of a mobility device for their son Cillian, they reached out to the “Rogue Robotics Team” at Farmington High School to see if they could help. The team’s coach, Spencer Elvebak, told KARE that when he presented the idea to the group, his students agreed to help the family without any hesitation. After a few weeks of dedicated labor and a little help from the University of Delaware’s GoBabyGo program, which creates custom vehicles for children with limited mobility, the science-minded high schoolers constructed a special electric wheelchair for Cillian, who has a genetic condition similar to cerebral palsy that makes it difficult to move around. The customized piece of equipment was created using parts of a Power Wheels riding toy, a harness from a child bicycle carrier and a joystick, which was created using a 3D printer and even has Cillian’s name engraved on it. Continue on to AOL News to read the complete article. 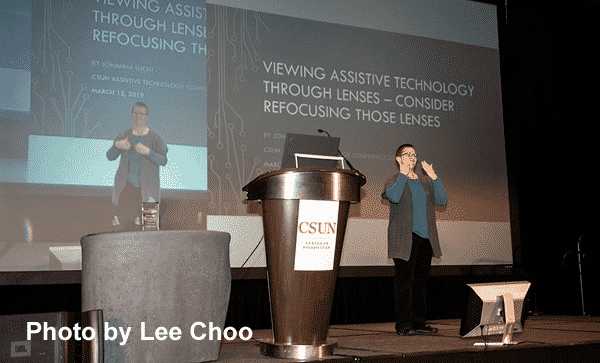 The CSUN Assistive Technology Conference has a specific purpose — to advance knowledge and the use of technology that improves the lives of individuals with disabilities — but its impact is wide-ranging. In addition to companies that specialize in such things as captioning technology for people who are deaf and hard of hearing and voice-controlled devices for people who are visually impaired, the 34th annual conference, held March 11-15 in Anaheim, was attended by representatives from banks, grocery stores, retail chains, medical companies, airlines and many more companies with vast customer bases. If attendees weren’t developing assistive technology, they were certainly interested in using it. At a corner booth in the bustling exhibit hall, the three-person team from Feelif, a tech company from Slovenia, found themselves addressing a steady stream of potential business partners. There was no time to check out other areas of the conference, as the Feelif team was busy showing off their premium tablet for people who are blind and visually impaired, which uses vibrations to simulate the experience of feeling Braille dots. The 34th CSUN Assistive Technology Conference — organized by the California State University, Northridge Center on Disabilities, and known in the industry as the CSUN Conference — attracted exhibitors, researchers, consumers, practitioners, government representatives and speakers from around the world. For the first time, the conference was held at the Anaheim Marriott after a long run in San Diego. The change of venue didn’t seem to hurt attendance — final attendance numbers hadn’t been tallied early this week, but attendance approached 5,000. Peter Korn, director of accessibility for Amazon Lab126, a research and development team that designs and engineers high-profile consumer electronic devices such as Fire tablets and Amazon Echo, said this was his 28th CSUN Conference, beginning when he was with Berkeley Systems, which developed the outSPOKEN screen reader so that Macintosh computers could be used by people who were blind or partially sighted, and continuing for the past five years with Amazon. In that time, he said, the company has dramatically expanded its footprint at the conference. The conference included more than 300 educational sessions, with updates on state-of-the-art technology as well as insights into where the industry is headed. For example, attendees could learn about how artificial intelligence will be critical to improving assistive technology applications, and best practices for including people with disabilities in usability studies. A seventh annual Journal on Technology and People with Disabilities will be published after the conference and will highlight the proceedings from the conference’s science and research track. A highlight of the conference was the exhibit hall, where 122 booths showcased time-tested and brand-new solutions. A wristband used sonar to locate obstacles near people with visual impairments, then vibrated to help navigate around the obstacles. An app connected people who are blind or have low vision to trained agents who serve as “on-demand eyes.” A real-time transcription and captioning service helped students who are deaf and hard of hearing access distance-learning courses. The new venue kept all informational sessions and the exhibit hall on the same floor, which had not been the case in San Diego. Johanna Lucht, the first NASA engineer who is deaf and who has taken an active role in the control room during a crewed test flight, delivered a keynote address that aimed to remove barriers to developing assistive technology. She noted that many of the most beneficial technologies for people with disabilities were not designed with that purpose. As an example, she noted that ridesharing services such as Uber removed potential miscommunications that occurred when people who are deaf and hard of hearing ordered taxis through interpreter services — the new apps have enabled people to type in exact addresses. Conversely, closed captioning can benefit even people without disabilities: For example, it enables people to understand what sportscasters on TV are saying in a noisy and crowded bar. Lucht noted that assistive technologies are designed to level the playing field for people with disabilities, which implies a sense of “catching up.” Instead, she advocated for designers to think in terms of “universal design,” identifying potential barriers and fixing them before products are launched. She showed a zoo fence that would disrupt the view for visitors in wheelchairs. An assistive design would install a ramp to see over the fence, she said. A universal-design alternative would be a see-through barrier that provides views for everyone. 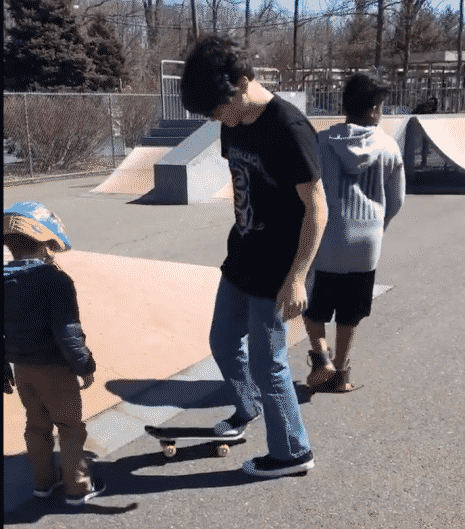 A mother from South Brunswick, N.J. shared an emotional note on her community’s Facebook page after a recent experience with her son, 5-year-old Carter, at a skatepark. Kristen Braconi took Carter, who is on the autism spectrum and has ADHD, and his behavioral therapist to the park to celebrate his fifth birthday, where a group of older kids noticed him playing on his scooter. The teens took it upon themselves to teach Carter how to skateboard. Braconi told the outlet that the young teens didn’t know that Carter has autism and that their kindness and inclusion boosted the 5-year-old’s confidence. Braconi and Carter left the park and returned with ice cream for the teenagers, but the video inspired the South Brunswick Police Department to try to track down the “superheroes” as well. April is National Autism Awareness Month, which has a mission of helping to increase the understanding and acceptance of those who are autistic. According to the Centers for Diseases Control and Prevention (CDC), 1 out of every 59 children has been identified with autism spectrum disorder (ASD). One author, Reena B. Patel, is on a mission to help children learn how to become friends with those who have ASD. Autism Spectrum Disorder, according to the CDC, is a developmental disability that can cause significant social, communication and behavioral challenges. Children who have ASD tend to have an impaired ability to interact socially with others. They also have a reduced motivation and a delay in skills for engaging others. They may not seem interested in their peers, or they may be interested in them and not know how to relate to them. Children who have ASD may engage in restricted, repetitive or sensory seeking behaviors, or may enjoy activities that seem unusual compared to their peers. Often times, those with autism want friends, but they simply don’t know how to go about interacting with them in an effective way in order to form a friendship. 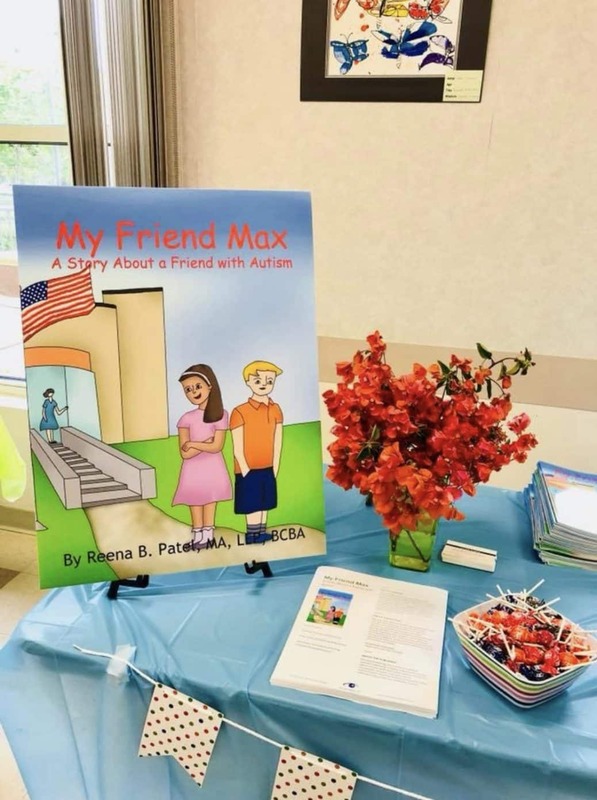 Patel is an ASD specialist, and her book has been expertly written in a way that will help people learn about the importance of inclusion, how to interact and develop friendships with those who have autism spectrum disorder. The book focuses on teaching kindness, compassion, and provides effective tips on how to be friends with someone with autism. The book is geared for kids ages 3-10, and offers a helpful story that children can relate to, while also offering a concrete list of tips in the back for parents and educators. Based in the San Diego area, Reena B. Patel (LEP, BCBA) is a renowned parenting expert, guidance counselor, licensed educational psychologist, and board-certified behavior analyst. For more than 20 years, Patel has had the privilege of working with families and children, supporting all aspects of education and positive wellness. She works extensively with developing children as well as children with exceptional needs, supporting their academic, behavioral and social development. 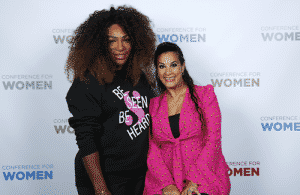 She was recently nominated for San Diego Magazine’s “Woman of the Year.” To learn more about her books and services, visit the website at reenabpatel.com, and to get more parenting tips, follow her on Instagram @reenapatel. Going to the dentist can be overwhelming for anyone. However, in patients with autism, the sensory elements of the dentist can make it much more difficult. One way to help a patient relax during their appointment is with dental sedation, but it’s important to know the different types before choosing this for a patient. As a practicing dentist for 17 years, I know just how stressful this can be for parents, and how frightening the whole process can be for the child. That’s why I’ve compiled information about everything you need to know before choosing dental sedation for a patient or child with autism. There are several other sedation methods that your dentist may offer. Talk to them about which method will be best for your child or loved one. Conscious Sedation: A minimal type of sedation, it allows the patient to maintain consciousness and control during the procedure. Children with autism have widely different responses to this type of sedation, so it’s important to monitor them throughout the procedure. It also has some potential health risks if done incorrectly, so only specially trained dentists should perform this type of sedation. Deep Sedation: This is a bit more powerful than conscious sedation and may render the patient unable to respond or control certain reflexes. This is similar to conscious sedation but used when less lucidness is required from the patient or for more involved procedures. General Anesthesia: What most people think of when picturing dental sedation, this type will render the patient unconscious and unable to respond or control their bodies during the procedure. This is a powerful sedation method, so is likely only to be used for major dental work, or if the patient has responded extremely poorly to other options. Your dentist will give you which options are available based on the procedure and will typically urge you towards the least potent. This can help your child by maintaining the measure of control they have during the procedure, as well as making the recovery quicker and easier to understand. Dentists are also always happy to answer questions, if you have concerns over the procedure speak up. The most important step to making any dental process go smoothly for an autistic child is to properly prepare them. Helping your child understand what to expect can ease feelings of anxiety and make it a bit easier to digest. Make sure to explain to them what’s going to happen, why it’s important, and emphasize any positive rewards to look forward to. The Tell/Show/Do method is a great way to keep your child at ease through the whole procedure. Start by telling them what’s going to happen and what the dentists needs to do. Then show them with a brief demonstration how it’s done and the tool used for it. Finally, the procedure will be done. This method helps keep the child engaged and calm as they know exactly what is going to happen. Good preparation is key, but what entails is going to largely depend on your child. Everyone with autism is a little bit different and has different reactions to stimuli and different ways they express their discomfort. Take some time pre-visit to discuss this with your dentist and they will be happy to work with you to make your child’s visit go as smoothly as possible. How long it takes to recover is largely based on the type of sedation used. Keep this in mind as it’s usually better to give your child a definite answer, 40 minutes for example instead of a while. This is important as the recovery process may be new for your child, and they will not be used to the effects that the sedative has on their bodies. It’s also important to monitor them during the recovery process for any adverse side effects. In general, you’ll be asked to remain at the dentist until they are confident no such reaction will be experienced. Overall, the key to a successful visit is to plan and prepare, and make sure your child understands what is about to happen. As a dentist, I always do my best to put the child at ease and explain everything I’m about to do, but the prep should begin at home. Remember that dental sedation can be beneficial for a patient to receive the care they need. Children living with autism are capable of having great dental experiences with patience and hard work. 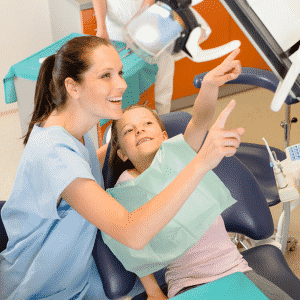 Never give up on your child’s dental health and enjoy the learning process together.